After beating a scary stage 4 throat cancer, Michael Douglas says he’s done with smoking and most of his drinking (planning for only an occasional glass of wine) as he aims to stay in remission for good. 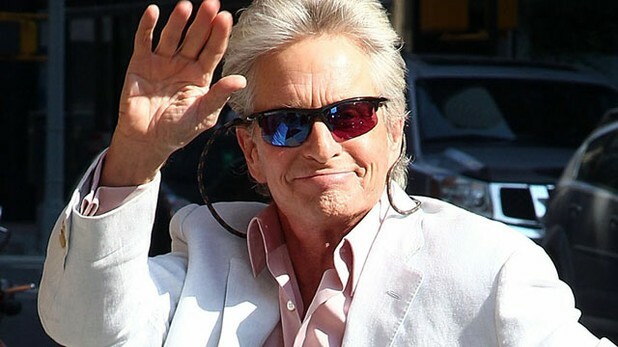 Michael Douglas is officially free from cancer after finding a growth under his tongue last August. To celebrate his remission and to ensure his continuing recovery he has publicly announced that he is going to quit tobacco and most alcoholic drinks. Douglas complained to doctors of ill health last January but at that time, doctors failed to detect the cancerous tumor on the bottom of his tongue which contributed to later throat cancer (His cancer reached stage 4 last August). Douglas concedes that it would have been easier to treat his condition if doctors had found the tumor during his initial visit, back when it was perhaps at a stage 2, but in any case, months of intensive radiotherapy and chemotherapy have finally resulted in a full remission. Although now in remission, Dr. Scott Strome, Douglas’ doctor, put forth a cautionary word, explaining that though medical treatments can cure a patient, and in Douglas' case there is no longer any presence of detectable disease - cancer patients are always at risk for reoccurrence. Admitting that tobacco and alcohol were probably great contributors to his cancer, Douglas has announced he plans to give up tobacco completely and restrain his intake of alcohol to one or two occasional glasses of wine. He vows to change his lifestyle and diet to help avoid a reoccurrence of cancer. His doctors explained that drinking and smoking heavily increases the chance of reoccurring cancer by no less than 50%. During his months of treatment, Douglas suffered side-effects that made it difficult to swallow food. He lost 32 pounds, which he says he is looking forward to gorging himself to put the pounds back on. With the news of recovery, Michael Douglas celebrated with his wife, Catherine Zeta Jones, along with their two children at a fancy late night dinner at a New York restaurant. Douglas is currently preparing for his latest movie in which he is playing the role of Liberace. Matt Damon will be co-starring.